The “old Gus Abbott Farm” where Blue Moon Stables thrives has been in the Denton family for 4 generations, starting out first as a homestead, transitioned to crops and goats, then to crops and wholesale trees. Today it is home to crops, trees, hayfields and horses. Established by Stacy and Chad Denton in 2006, Blue Moon Stables is situated on 92 acres in western Henderson County, Kentucky and has been in operation since April 2007. 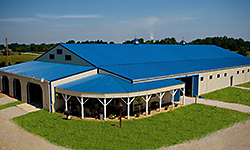 In 2008, a new barn containing a 68′ x 135′ indoor arena with a mixture of sand and rubber footing was built. 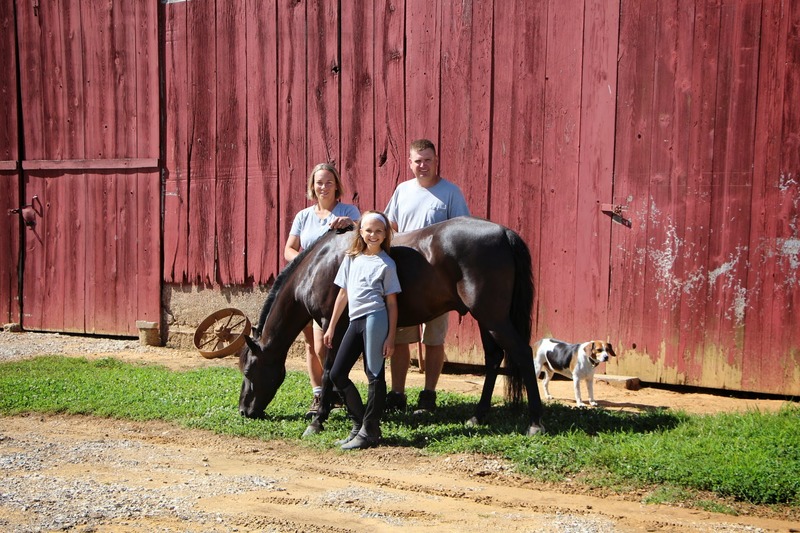 A short distance from the barn, an outdoor riding arena measuring 80′ x 200′ was added to provide a family friendly environment offering year round lessons & training. The barn is open 7 days a week. 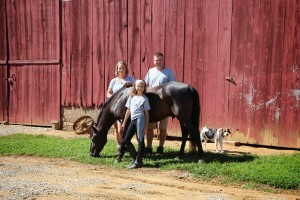 Owner and operator, Stacy Denton has over 25 years of equine experience with multiple disciplines and breeds. She competed in 4-H local and breed shows in her home state of Wisconsin with plenty of success and began teaching lessons while still a child herself. She moved to Bowling Green, Kentucky in 1994 to attend WKU and later graduate with a degree in Recombinant Genetics, before moving permanently to her husband’s hometown of Henderson. Both Stacy and Chad succeeded in the professional workplace but ultimately chose to follow their hearts and be farmers. Through Blue Moon Stables, they are able to share their knowledge and passion with the rest of the world.